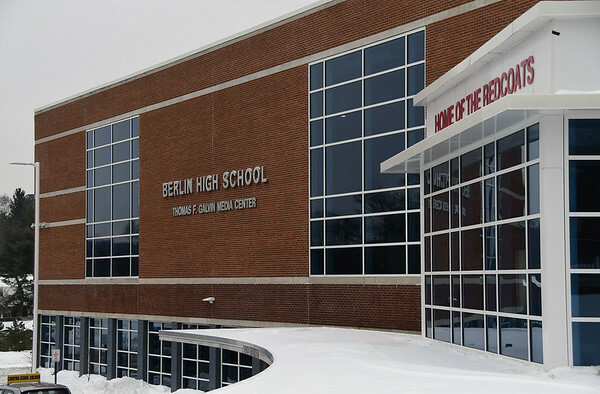 BERLIN - The former swimming coach at Berlin High School has been charged with having a sexual relationship with a then- 17-year-old senior during the 2016-17 school year. Michael Cwirka, 29, of Meriden, who was charged Monday, faces three counts of second-degree sexual assault and five counts of fourth-degree sexual assault. Cwirka, who also taught math at BHS, was put on administrative leave in February pending an investigation into allegations of the relationship. Superintendent of Schools Brian Benigni did not return a request for comment on Cwirka’s employment status. Cwirka had also been a class and club adviser at the high school before his suspension. Board of Education President Matt Tencza also declined to comment, saying it’s a personnel matter. According to the arrest warrant, Meriden police began investigating the relationship in February after the victim disclosed the sexual relationship to her therapist at a university in Pennsylvania. An initial investigation by Berlin police found that most of the alleged sexual contact between the two occurred in Meriden, and the case was transferred there. The victim had obtained Cwirka’s number because of her involvement on the swim team, she told police, and in late 2016 the two had maintained a “friendly” relationship through text messages, according to the warrant. In February 2017, Cwirka told the teen he wanted to see her, according to the warrant. She suggested they wait until she turned 18, in April, but Cwirka said he worked around children and the age of consent was 16. Later that month, the girl decided to visit Cwirka at his residence, where there was physical contact. One week later, Cwirka invited the victim to his parents’ house so she could see their cat. More sexual activity occurred there, the warrant said. Two days later, the victim returned to Cwirka’s home, and the next day, Cwirka visited the victim’s home in Kensington, where sexual activity allegedly occurred again. Text messages in November 2017 on the victim’s phone with Cwirka showed her asking him if it was OK if they still talked, the warrant stated. The victim said the last time she had any sexual contact with Cwirka was Oct. 9, 2017, the warrant stated. Text messages between the victim and her sister, who is a witness in the investigation, that dated to early January of this year appeared to outline the victim’s personal struggle with the end of her relationship and communication with Cwirka. As the messages went on, the victim, with no communication from Cwirka, appeared to come to terms with the situation and felt the relationship was wrong, the warrant stated. Using information from the victim and sister, Meriden police were able to secure warrants against Cwirka, which led them to obtaining items from Cwirka, including a style of underwear the victim had described in her statements, the warrant stated. Three witnesses, including one as the victim’s sister, told investigators stories the victim shared with them of the sexual encounters. Neither Cwirka nor his attorney returned a request for comment. Posted in New Britain Herald, Berlin on Wednesday, 12 September 2018 20:46. Updated: Wednesday, 12 September 2018 20:48.